Ha. Freaking rain, traffic plus doing one thing all day long for a week. It can screw with ya. And that is on top of my usual goofiness. Sorry. No excuse - just scatterbrained. You know when you have an idea taking up all your brain space and it doesn`t want to be expressed all at once? Been obsessing about an idea for almost a week now. I hear ya. Kinda like my problem the week before. Althogh I honestly think I was fighting something, considering how yucky and out of wack I felt. He's the absolute baby of the bunch and likewise the most err militant. He's actually fairly decent for his PL. Peekaboo doesn't have any bonuses in Will for example Lol. Something I plan on fixing next chance I get. Dex Entry: Azurill's tail is large and bouncy. It is packed full of the nutrients this Pokémon needs to grow. 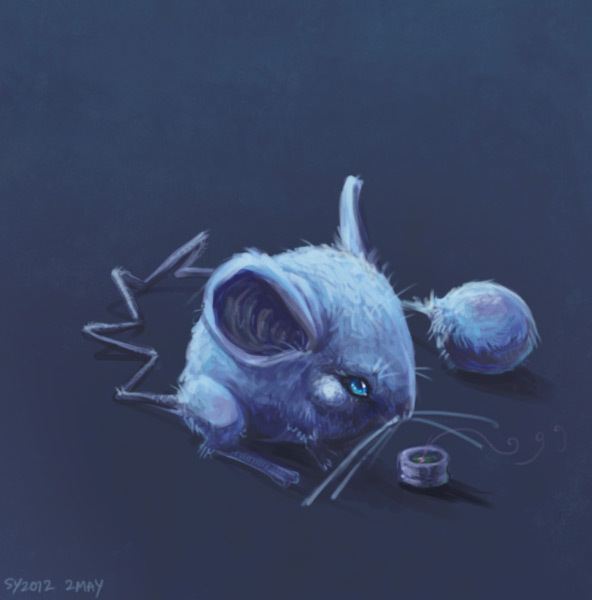 Azurill can be seen bouncing and playing on its big, rubbery tail. I sing a song of six honchrows baking in a pie, we cut one open and out flew a Gengar. Sorry, have been kind of distracted lately. Your side quest/ explore with the critters idea, while inspired, has thrown me off my game. Big time. Understood. We can end it at any time. Still kinda fun. But we can end it. How do you guys want to wrap up the critter investigation? Not really sure, but I'll try and get something posted before Thanksgiving.